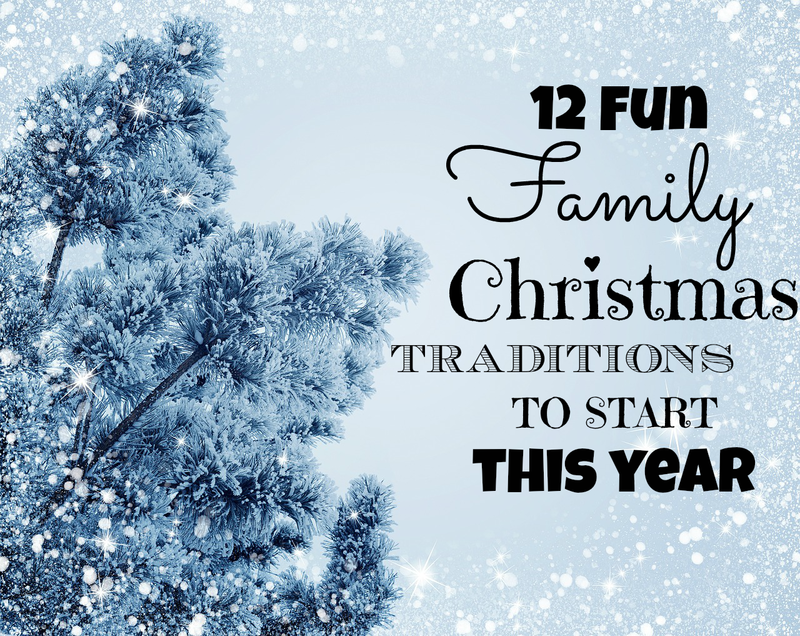 Christmas traditions are a way to create fun family memories. My family participates in many different traditions each year. Some are old traditions that I fondly remember doing as a child and some are new ideas that we’ve adopted and started from other families. Each one is looked forward to every year, even as the kids grow older. VISIT A TREE FARM and make picking out the Christmas tree a family tradition each year. Take it one step further by chopping the tree into firewood come January and have a bonfire as a family. Complete with s’mores and everything. DECORATE THE TREE as a family and drink homemade hot cocoa. I initially started this tradition when the kids were very young to keep them from getting into the Christmas lights as Daddy tested and hung them on the tree. 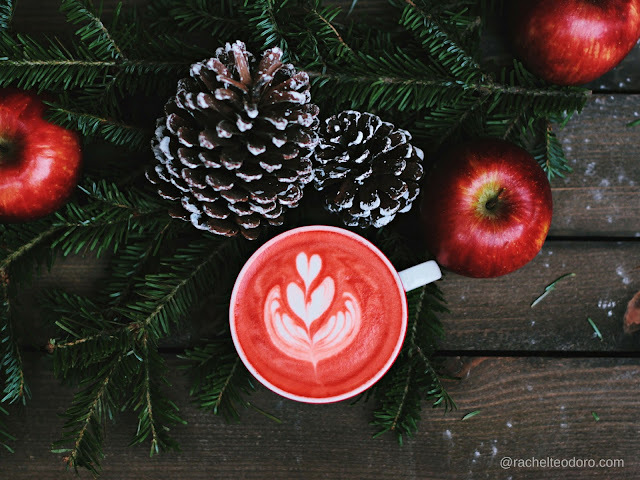 I would make homemade hot cocoa and dance to Christmas music as a way to distract them and then we’d all hang the ornaments as a family. Every year, before the tree is decorated, the kids open a present. The present is always an ornament that reflects something about the year. Maybe a trip we took as a family, or a new sport or hobby the kids are interested in. Those ornaments get their initials on them and the kids enjoy having a box of ornaments that are just theirs to hang. Once the kids move out of the house, they will have a box of ornaments they can use to decorate their own tree with. MAKE OR BUY A NEW ORNAMENT FOR THE TREE each year. Have the year engraved or write with a permanent marker what year you made or purchased it. START A CHRISTMAS STORY ADVENT by wrapping up 25 books, number them and have the kids open one each night as a way to count down the days left until Christmas. Reading each night is a great family activity and will get the kids excited for Christmas. MAKE HOMEMADE CHRISTMAS CARDS and bring them to the elderly. Spend a day as a family visiting with the elderly at your local assisted living facility or hospital. The holidays can be a lonely time for those without family, visiting and bringing cards will be a cherished memory for all involved. BAKE CHRISTMAS COOKIES and decorate them together. Make some special for Santa, put them in a tin and save them to set out Christmas Eve. TAKE A CHRISTMAS LIGHT WALK through the neighborhood as a family. Decide together which house has the best decorations and present your neighbor with a prize of homemade Christmas cookies or candies. HAVE THE KIDS DO A SECRET SANTA with each other by picking names and making each other a special homemade gift. It can be very sweet to see what ideas they come up with when it’s made with love instead of being bought from the store. HAVE A POLAR EXPRESS NIGHT and watch the movie as a family with popcorn around the Christmas tree. Then after the kids go to bed, leave a heartfelt note and special bell for each child from Santa that they will find in the morning. This is perfect for older children who may not be sure if they still believe. CHRISTMAS PAJAMAS for the whole family! Let everyone open one gift Christmas Eve. Although my kids always know what it is, they still look forward to their Christmas jammies every year. Plus, it makes for cute kids come Christmas morning picture time. GIVE BACK and teach your kids to donate to those less fortunate. Have them go through their toys and clothes and donate anything not being used that is still in good condition. Another tradition we participate in is the Christmas Angel at our local department store. We let the kids pick an angel off the tree and they get to go shopping for that child. It’s something I’m proud to say, they look forward to each year. HOPE NOTES is probably my favorite tradition of all. After Christmas and all the gifts, delicious food and treats, as you take down the decorations don’t pack up the stocking just yet. Have each family member write a hope, wish or dream for one another and put them in each person’s stocking. The next year while unpacking the stockings, take some time to sit down with the family and read the hope notes, reflect on the past year and discuss your hopes for next year! I would love to hear what some of your favorite family Christmas traditions are. Please take a second to share one of yours in the comments.